I’m an Usborne Independent Consultant for families, schools, and libraries. Click Here to find out more. Where the Hell is Matt? Dancing Around the World! 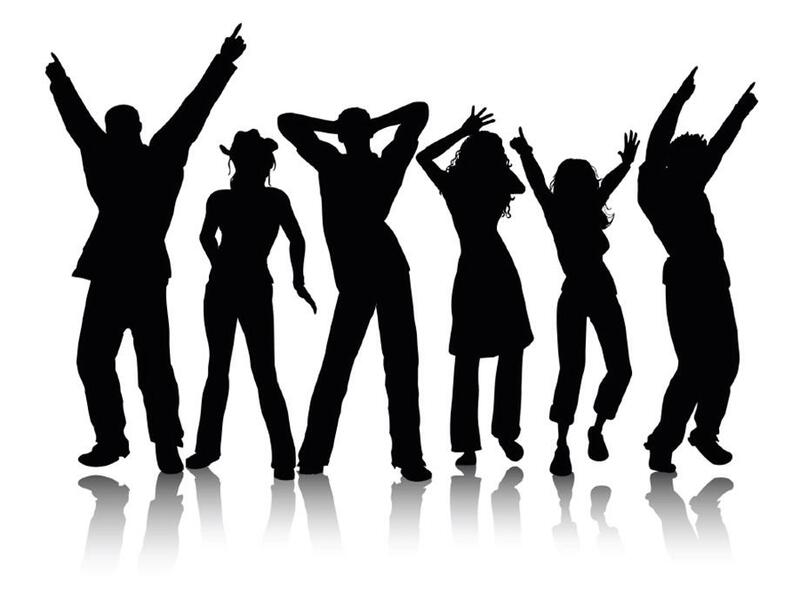 Ok, you know I love flash mobs–especially the ones involving dancing. Where the Hell is Matt? follows Matt as he dances with folks all around the world. It’s way better than it sounds. It’s a total feel-good. they connect us to something bigger and better than our individual selves. What about groups dancing together touches you? Costumes–your child does not need costumes. Notice, I did not say he or she does not need dress-up clothes. I said pass on the costumes. What’s the difference? Dress-up clothes are multi-purposed and the purpose changes with your child’s imagination. Your child is in charge. 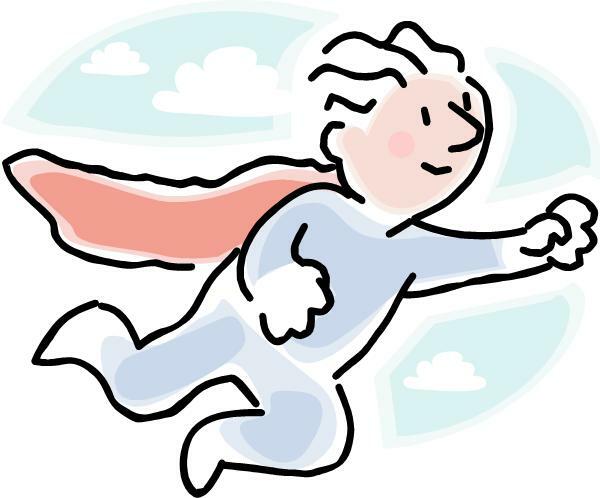 The plain cape can make him or her a superhero or a knight or Little Red Riding Hood or Zorro or a bad guy or a good guy or a princess traveling on a mission. A Superman cape with logo is only a Superman cape. Dress-up play is immensely important. Imaginary play develops a child’s language skills. Think about it: Whether your child does it silently or out loud, he or she can’t become part of a story unless and until they put words to it. Thinking of multiple uses for an object is a trait of creativity. Dress-up and imaginary play puts a child in charge. In a day to day existence where children are told so often what to do and when, imaginary play lets them be the boss. It also helps children develop impulse control. Finally, in imaginary play, children can tackle what’s frightening and overcome it, they can be aggressive and discover their limits, they can be powerful–and on and on. The agenda is theirs. If you buy a Snow White or Spiderman costume, that’s the end of the story–literally. Save your money and buy oodles more of all purpose dress-up clothes instead (many can be picked up at your local thrift store). What’s your favorite addition to the dress-up box? I had a blast at the SLV Fiber Festival this past weekend in Monte Vista, Colorado. I had storytimes with kids, demo’ed cat’s cradle string games, and sold the best and most fun kid’s books related to sheep, llamas, yarn–)and one chicken book ’cause it’s my favorite). Feeding the Sheep–a little girl follows her mother’s activities through the year, learning along the way where her warm and lovingly made sweater came from. Sheep in a Jeep (book & CD)–silly sheep try to drive a jeep, great rhymes and pictures, good for reading aloud or for beginning readers. Where is Green Sheep–a Mem Fox classic with more silly sheep doing silly things (skiing down a sliding board?! 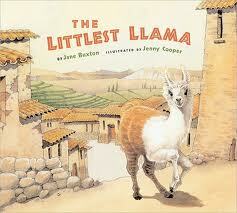 ), available in board book bilingual version. 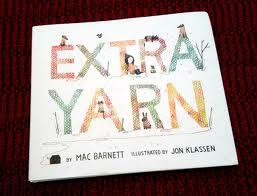 Extra Yarn–brand new story about a magical yarn box and a girl who transforms her grey world with it, I think we’ve got a classic in the making with this one. Tillie Lays an Egg–I am ga-ga over this book, Tillie lays her eggs all over and kids get to hunt for it in the photos created with retro farmhouse collectibles. The Shepherd’s Trail–a cultural treasure, fabulous photos and just enough text to capture the dying art of the shepherd with the sheep in the back country, a real treasure. Only one copy left! 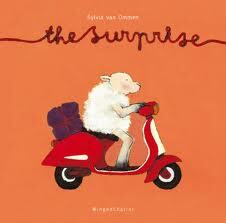 The Surprise–gives me giggles to even think about it and elicits an “awwww” every time at the ending, and don’t you want to see a sheep on a bathroom scale, with a blow dryer, and on a motor scooter? The Dogs of Bedlam Farm–I generally despise children’s books written by adult authors (because they are usually just dreadful) but Jon Katz pulls this one off with just the right combo of photos and text to introduce children to Katz’ four farm dogs and their individual personalities and jobs. The Littlest Llama–an overlooked gem, the littlest llama in an Andean herd can find no one to play with, wanders of f, escapes trouble only to hurry home and discover she’s not the littlest any longer, bonus points for being told in well-structured rhyme. Llama Llama Red Pajama–first in the series of Llama Llama books, if you don’t have this one yet for your little one, you need it (especially for bedtime “llama dramas” at your house). If your budget necessitates getting these at the “big A,” I understand. Getting books to your kids is the most important factor. But for now, you can get them from me with no shipping and only a dollar or two more. (And you’ll be supporting a local business with this mission). Your kids are likely a little more than half way through their summer vacation. You and kiddos resolved that this summer would be different–they would read and they would read consistently throughout the summer. Cuz you know it’s good for them (and tastes better than spinach). But here it is, mid-summer, and everyone’s resolve is wavering. How do you jump start the reading? It’s an easy, one-step trick. Let your kid pick the reading material. or a book too easy or a book too hard or a magazine or (fill in the blank with your concern). What if? Well, bottom line, it does not matter. Really truly, it does not matter what they read. Research shows that what matters is the number of words they read and that they read consistently. Remember that there are many purposes for reading and therefore many reasons for “teaching” reading. Summer reading, leisure reading, vacation reading, non-school reading develops the fluency and skills that lead to lifelong reading. So recharge summer reading. Let the kiddos do the choosing! You want the best for your kids. You als0 don’t want to go broke raising them. Baby bottle thermal wraps: If you stick with the principle of why baby bottles exist, you’ll see why this is unnecessary. 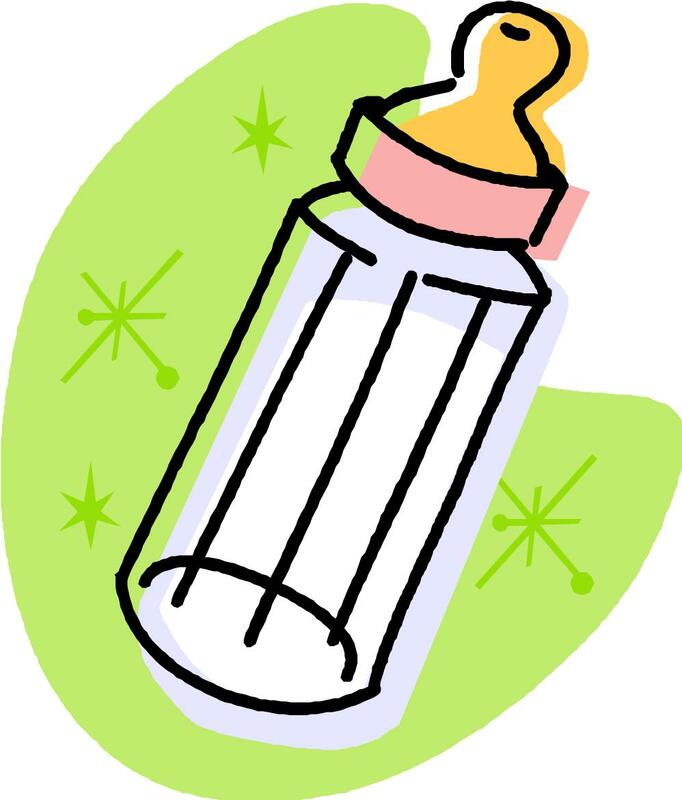 Baby bottles are for feeding babies; they are a substitute for the breast. Baby is hungry. Baby is fed. Bottle is empty and gets put away. The idea behind a thermal wrap is to keep something cold. But a baby fed from a bottle doesn’t have the bottle long enough for the contents to get hot. And most babies don’t like drinking cold liquids anyway. If you think you need the wrap because your child likes to “keep” the bottle, you need to know that that can create several problems. First, baby’s saliva gets into the formula or juice and starts to break it down (which is what saliva is for). Left to do this for an extended period of time, it sets up spoilage and can give your child stomach aches or diarrhea. Second, sucking on bottles of formula or juice for long periods of time causes tooth decay. Yep, even before you can see those pearly whites! And it’s even worse if you let a child sleep with a bottle. Finally, if your child uses a bottle for water, that’s ok. Most children get enough fluids from nursing or formula, but in especially hot weather, offering water can be good. Just remember, that they will drink more if it is at a lukewarm temperature, not icy cold. So if you like the wraps for their cute designs, that’s fine. Just know that’s what you are buying them for, just decoration, and not as something necessary. Ramona and Ralph the Mouse love DEAR! Yeah, you can sing that to Aretha’s RESPECT and I won’t tell. But DEAR and TCH really are not the latest in pop tunes. They are two great websites I discovered and wanted to pass on to you. 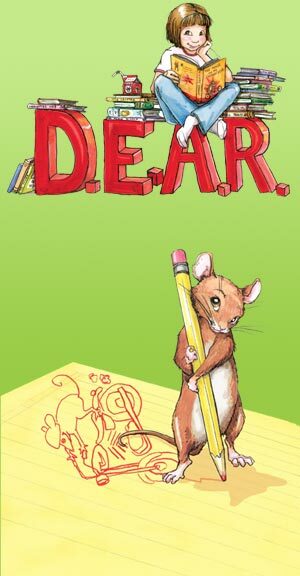 DEAR (Drop Everything And Read) has been around a while and is officially celebrated on Beverly Cleary’s birthday, April 12. But this video (1 minutes long) does a great job of showing how it can become a regular part of a school day–and the same can be done at home, of course! 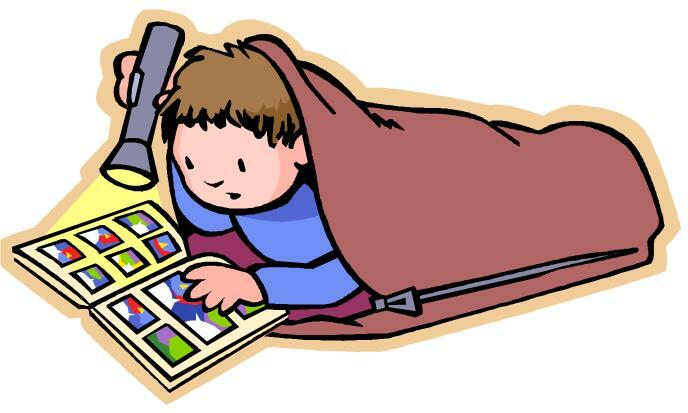 it’s easy: anyone can pick up a book and read to a child (and even if you can’t read, you can talk about the pictures or make up a story to go along with the pictures–it’s still “reading” for young children). Finally, TCH Teaching Channel is one of the best sites for teaching and education ideas I’ve run across. Quality stuff! It’s worth exploring. How could you adapt DEAR in your school, home, or library? Share your ideas with others! Ring Around the Rosie with 2 verses!